I’ve worked very hard to become certified through a home based computer class with Thomas Education Direct. Once I became certified I’ve worked as an outside contractor with various Travel Agencies. 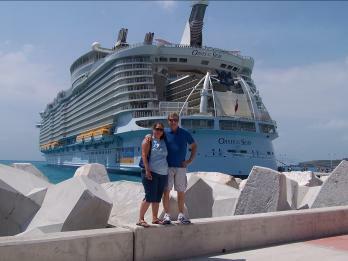 As of the present we’ve been on twelve cruises with five different cruise lines in the last fifteen years with family and friends. We’ve been to Alaska, Hawaii, Mexico, and several destinations in the Caribbean. Although cruising has been a big part of our vacations, we’ve enjoyed several trips to Disney . My goal here at Linda’s Travels is to make sure you have the best time of your life where your dreams can become beautiful memories. One thing is for sure, God has created some beautiful landscapes! So just don’t look at the pictures and dream about it - DO IT! Turn your dream into a beautiful memory! 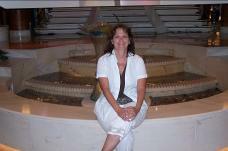 Hi, My name is Linda Stevens and let me just say thanks for visiting my website. I’ m a home based agent in the Clarksville, TN area with two wonderful daughters, four grandchildren and a very loving and supportive husband. This whole adventure started a long time ago with my love for travel. But mainly my faith in God has led me to start this business with my Husband Don. The next time you see a Palm Tree - Remember This!